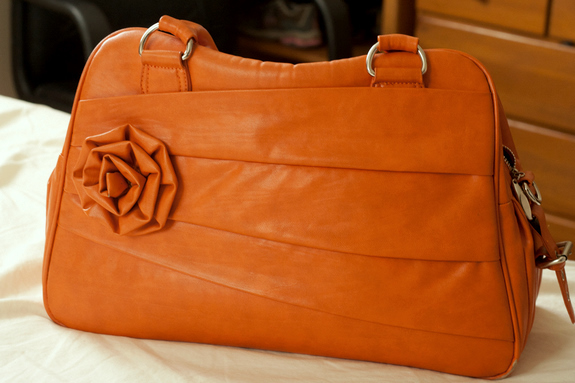 This week’s What’s in Your Purse Series purse is from Cabesh. Thanks you! My purse is actually a camera bag from JoTotes. My husband gave it to me for Christmas last year (Christmas got so much better when he started shopping off my list). 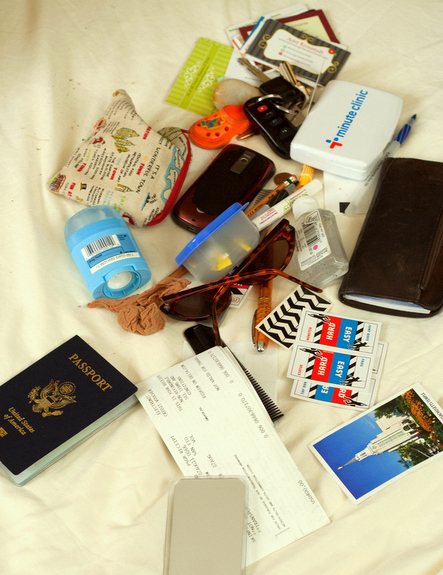 When I got home from BlogHer I literally dumped my purse out on the bed. After the first day at BlogHer I found that the camera was just too heavy to lug around, along with all the swag. I tucked it away into my carry-on. I adore Cabesh! She’s a great friend and a wonderful woman. Isn’t she though? Completely fantastic, all the way around. I am LOVING this bag AND this concept…as a wannabe pro, I carry my Nikon D60 all the time and I end up just sticking it in my regular purse which does not protect it or carry well for that matter. I love this bag and for $89 what a steal! Only downside, I am loving the orange, but I don’t see that color online anymore? Oh well might have to go with the bronze! Thanks for letting me know about this company! Natalie, isn’t it an awesome concept? The clover, and I want to make out with it. Well, I think everyone does a little “editing” before taking pictures. Frankly, I want to see the dirt.